The Gong is made from copper. It is a round shape and it has a convex dome in the middle. A set of gongs can be 6, 8 and 12 and they are different sizes. For a set of 6, they need to be played by 6 people. A set of 8 needs to be played by 8 people and a set of 12 needs to be played by 12 people. Gongs can be played at anytime and anywhere. It is necessary to perform a ceremony for them before they are used. In the ceremony they use the blood of one chicken and a jar of jar wine to sacrifice for the spirits of gongs. 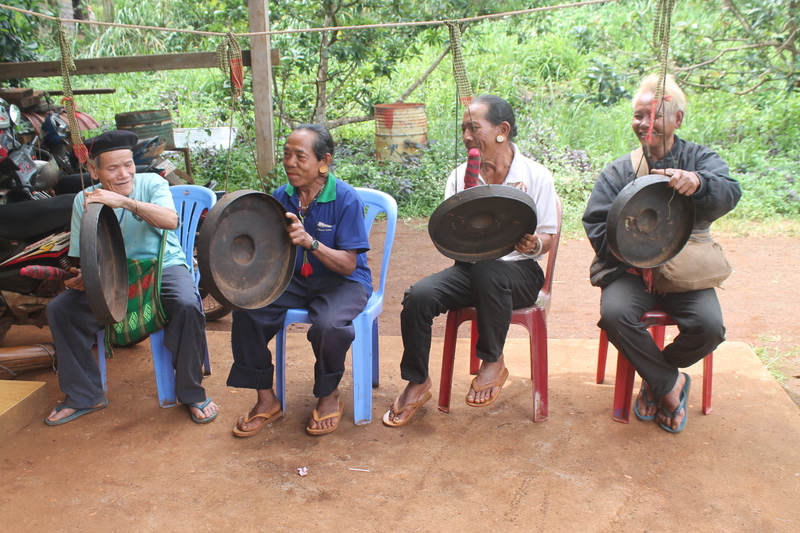 Gongs can be played when people gather for their traditional ceremonies. During the ceremony, Bunong people will prepare jar wine for their relatives to drink. Gongs are played during that drinking time. Gongs are also played in the rice ceremony, planting rice and collecting rice. 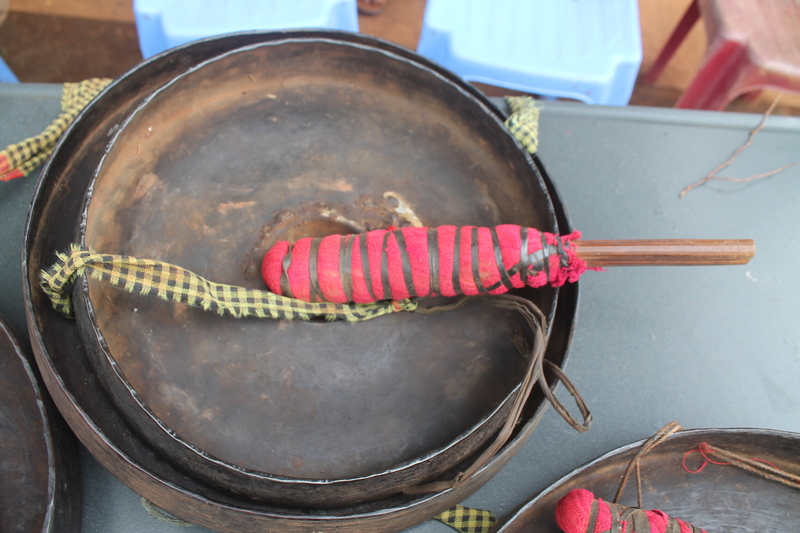 When people come back home with rice after collecting it from their farm, they also play gongs. In some areas, gongs are played in the 100 day ceremony after a person was died. 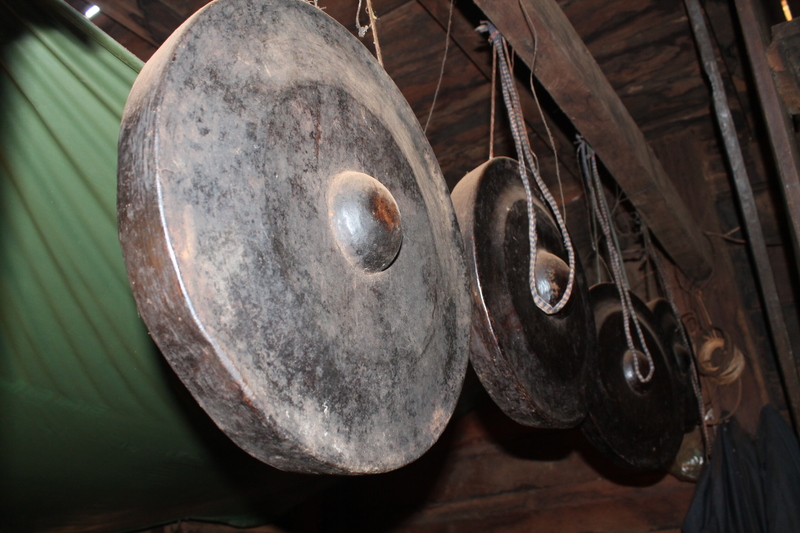 Gong can be played for two melodies. They are: Pech Pel and (pulling off rice, collecting rice, planting rice and rice ceremony). This entry was posted in Bunong musical instruments. Bookmark the permalink.